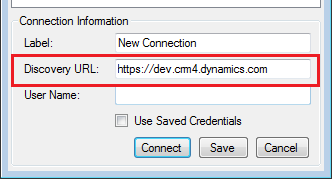 One of the suggestions I always give when a user has issues with the Plugin Registration Tool is to download first the latest CRM SDK. The reason is simple: a new rollup installed or a CRM Online update can easily bring some changes with the previous versions of the tool, but if we use the latest version we can hope that the Plugin Registration Tool will work as expected. Of course I never follow my suggestions, so it took me 2 weeks from the release of the latest CRM SDK (6.1) to discover the new Plugin Registration Tool! It's easy to spot the switch from the ugly Windows Forms to WPF (Windows Presentation Foundation). More important is the new position inside the SDK. Now the Plugin Registration Tool is located inside the folder SDK\Tools\PluginRegistration and not anymore inside the folder SDK\Bin. First it is necessary to specify the Deployment Type, between On-Premises, Online and Office 365. 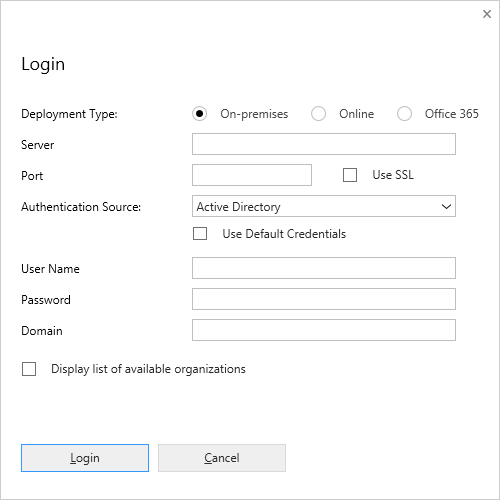 For On-Premises is possible to specify the Authentication Source between Active Directory and Internet-facing deployment(IFD) and to use or not the default credentials. A big welcome to the new Plugin Registration Tool! Sweet! Maybe it's just the Stockholm Syndrome coming though, but it's awesome to see Microsoft improving the tool set.